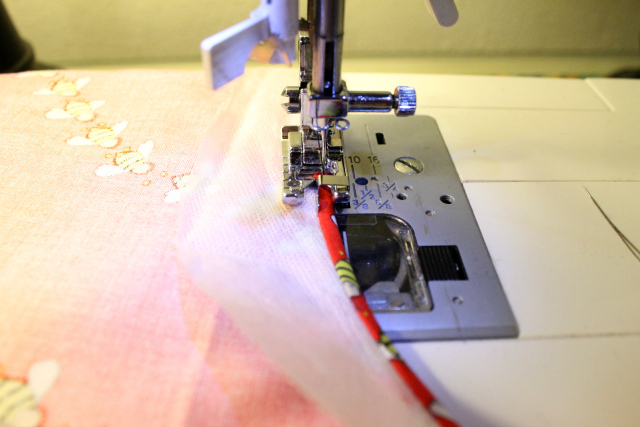 I sew a lot of narrow hems these days, and I've tried so many different methods to make them. The majority of tutorials for narrow or rolled hems (that I've seen) include a ton of measuring, trimming, or exhaustive pressing. Boo, ain't got time for that. 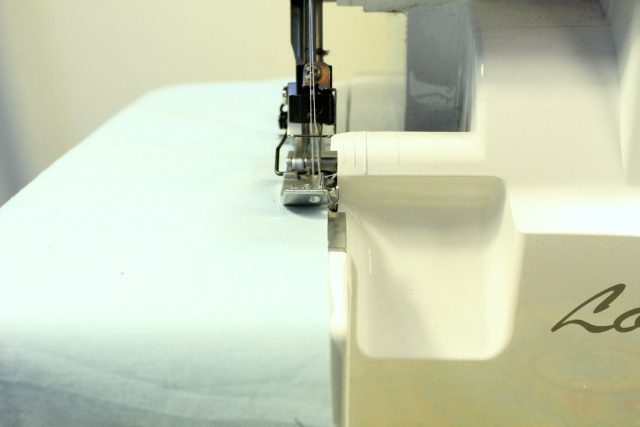 What if you could make the narrowest of hems doing a minimal amount of all that stuff, and without a rolled hem foot? Yea, I said it. 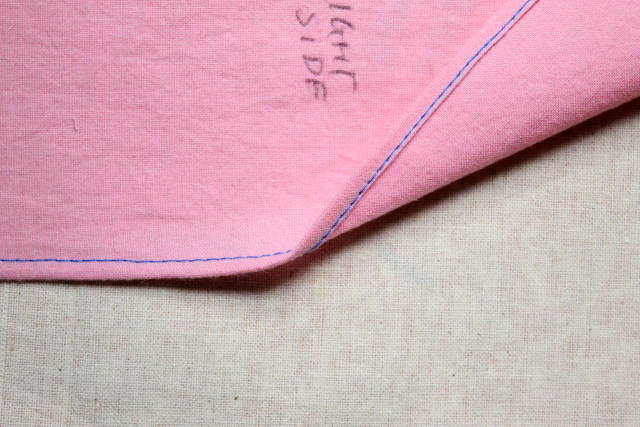 A narrow hem has a finished depth of 1/8" to 1/4". 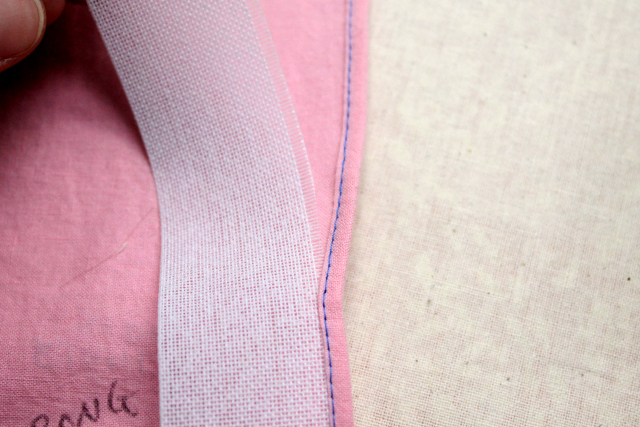 The tiniest versions, baby hems (1/8"), are typically used to keep lightweight garments flowy without weighing down the edges, and to keep the hem of sheer fabrics as inconspicuous as possible. 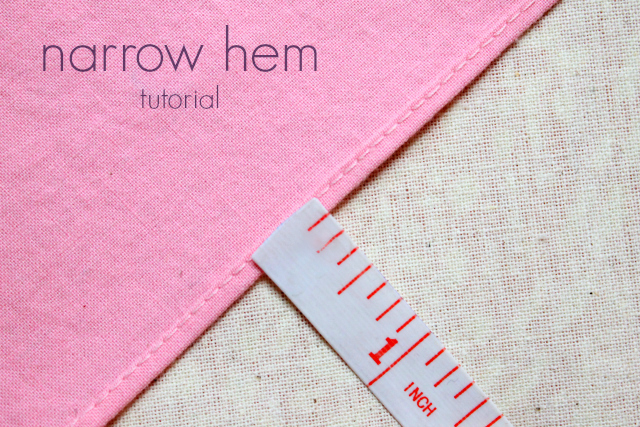 Due to the nature of their narrowness and the nature of the fabrics you will likely be sewing them on, these hems can be tricky to fold and sew evenly if you're doing a standard hem technique of measure-fold-press-measure-fold-press-sew. So here are some alternatives. 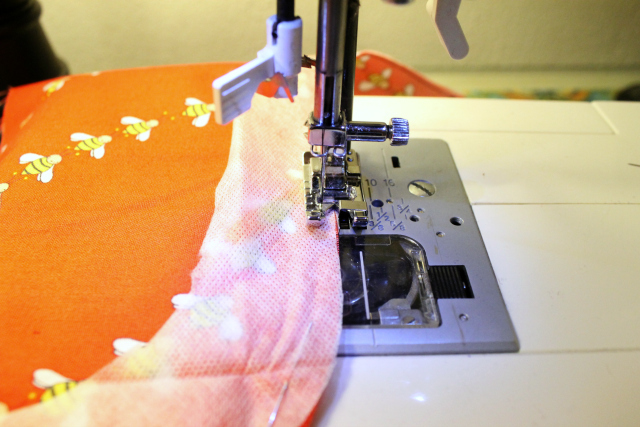 For a 1/4" hem, my favorite method uses a serger for the first step. 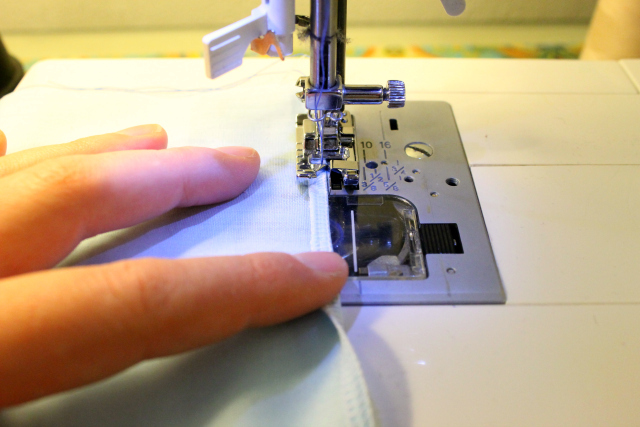 You can definitely do a similar method with a regular sewing machine, but I prefer the serger because it makes folding the hem easier; the width and sturdiness of the serged stitches help keep the fold perfectly even. 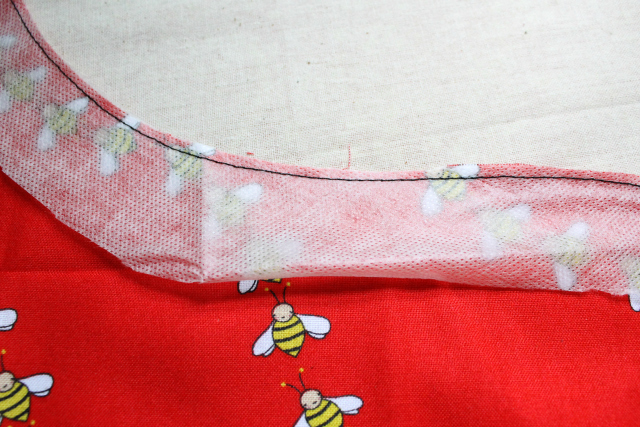 You can also adjust the differential feed in case you want to tighten up the edge of your fabric ever so slightly to help with easing in a curved hem. 1. 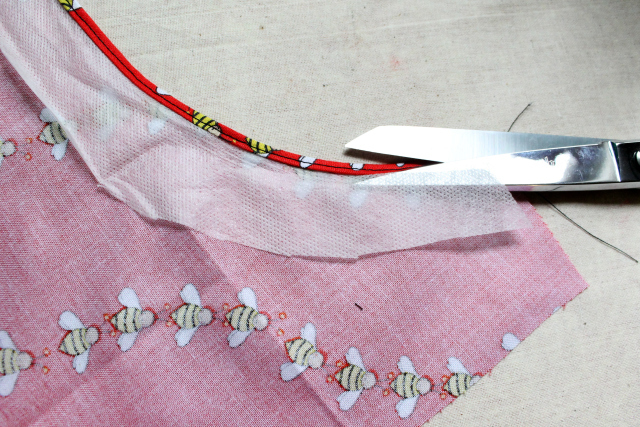 Set your stitch width so the left needle hits 1/4" away from the raw edges, or just within 1/4". 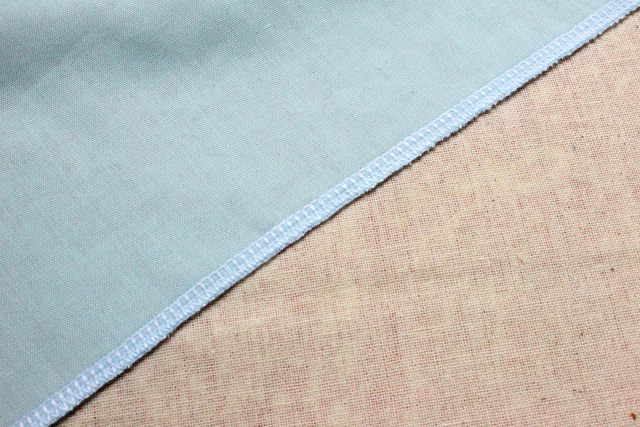 Thread color doesn't necessarily matter as long as your fabric's not too sheer. 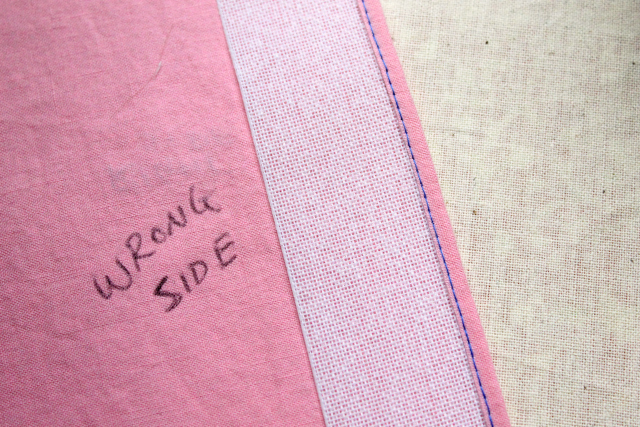 Serge along the raw edge of the right side of your garment without cutting anything off. 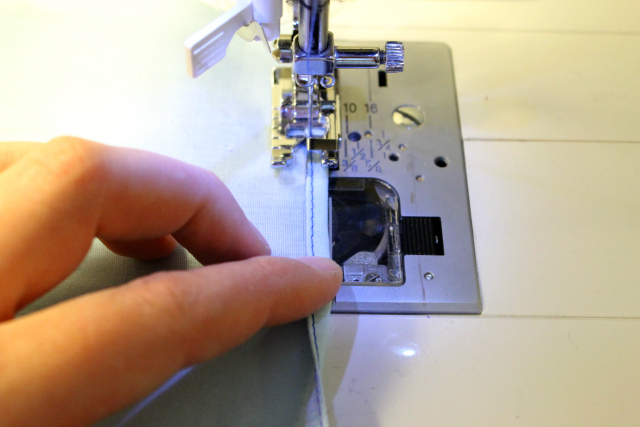 IF you're using a regular sewing machine, sew a line of stitches 1/4" from the raw edge, or just within 1/4" if possible. 2. 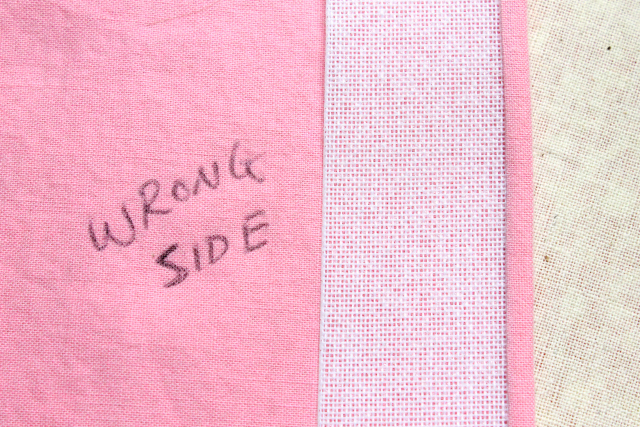 Start folding the serged stitches toward the wrong side of the garment the same width as the stitches. Or if you didn't serge the edge, fold the edge under so your first sewn line of stitches juuuust rolls to the wrong side. 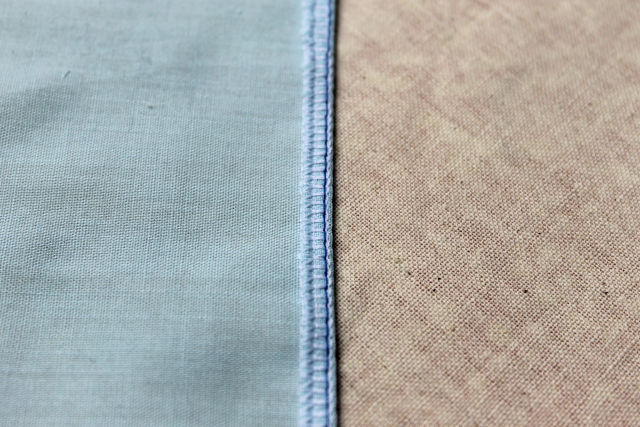 The width of the stitches does all the measuring for you here. I only do a quick finger press to get the fold going, then immediately start sewing from the wrong side of the garment, using my hands to keep folding the edge before it reaches the presser foot. 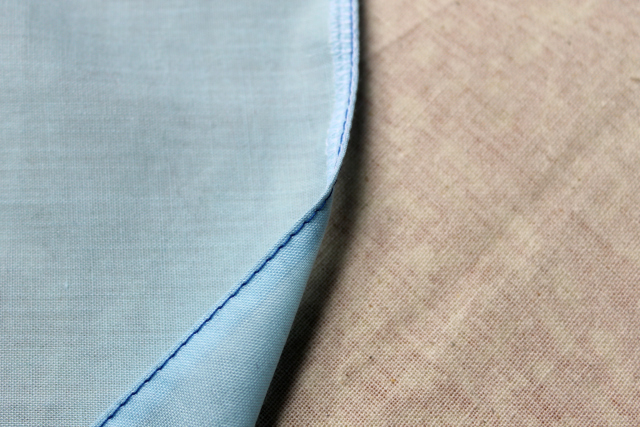 A classy hem, without any tedious pressing OR measuring. This little trick needs to be wider known. If you dig on the Internet you can find it in other tutorials, but I thought I'd go ahead and share it here to help spread the word. 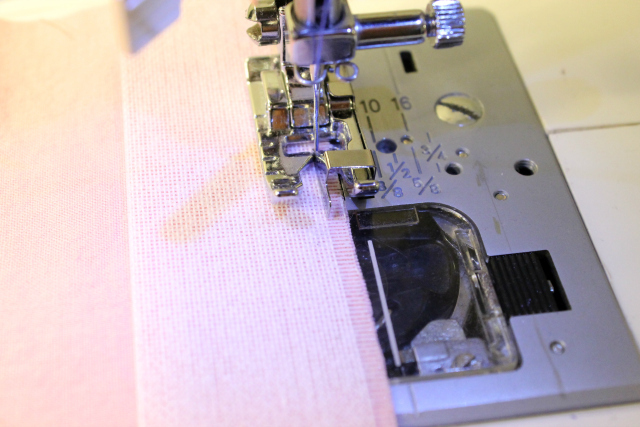 For an even tinier hem (~1/8"), I like to use the aid of Ban-Rol, also sometimes referred to as Ban Roll. wtf is that? It's a very sturdy starched interfacing used by tailors for stiffening waistbands in pant and skirts. It comes in various widths on continuous yardage. 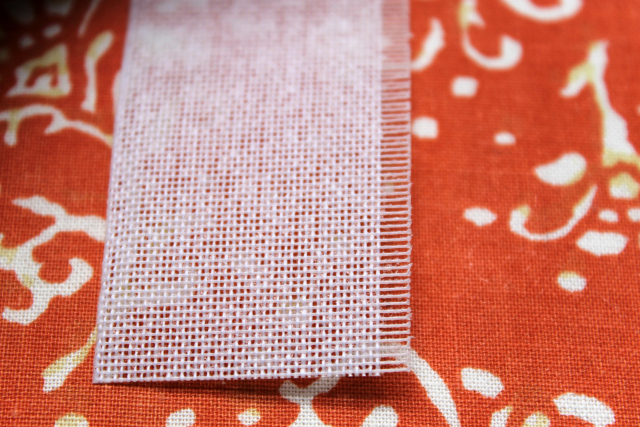 It's loosely woven, despite being stiff, so you can peel away the threads to create a "comb" that helps easily turn your fabric for hemming but will be pulled out after stitching. The great thing about this method is that the Ban-Rol is reusable so you can make one small investment to have a lifetime of beautiful tiny hems. You can find it in 50-yard packs on Amazon and Wawak, but there's no way you would ever need that much. They sell it by the single yard online at the Sewing Place, Crafter's Vision, Londa's Creative Threads, and B. Black and Sons (edit: and Kenton Trimmings Online, for those in the UK). 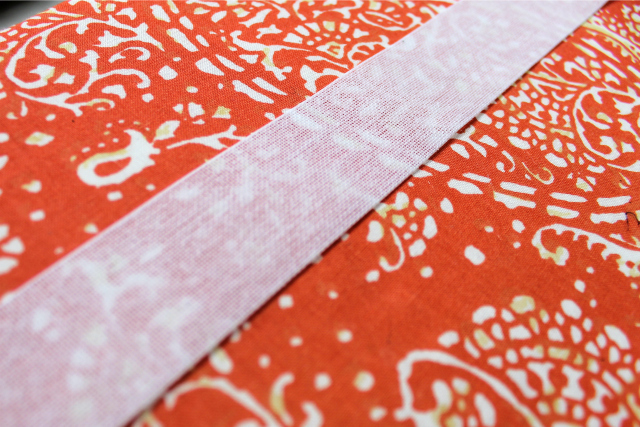 I'd recommend getting a few yards so you can create different "combs" for different hem widths, or just in case you ever have to hem a maxi-length circle skirt or something cray. 2. 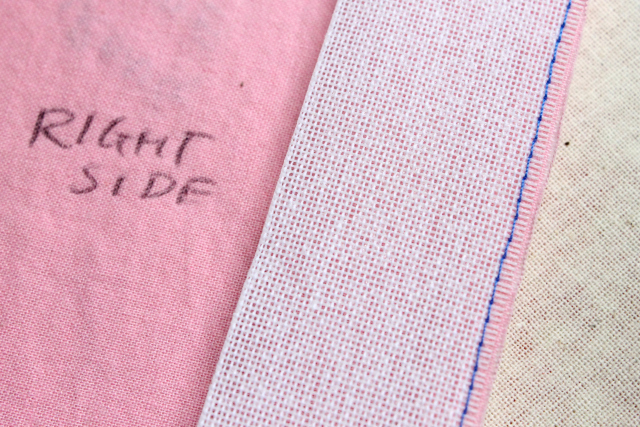 Now align the edge of the comb with the RIGHT SIDE of the raw edge of your garment to be hemmed. 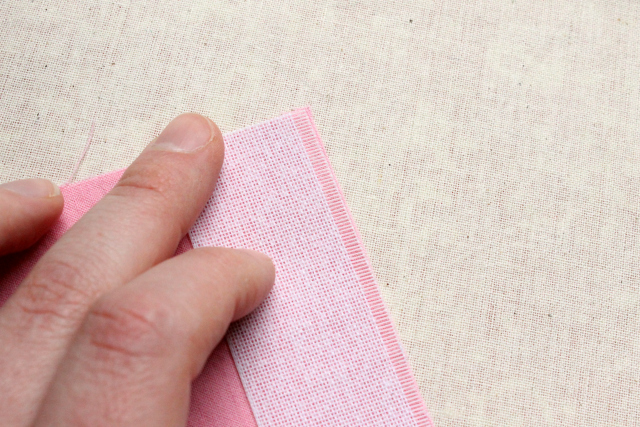 If your fabric frays madly, move the ban-rol inward slightly to stay clear of the fray. 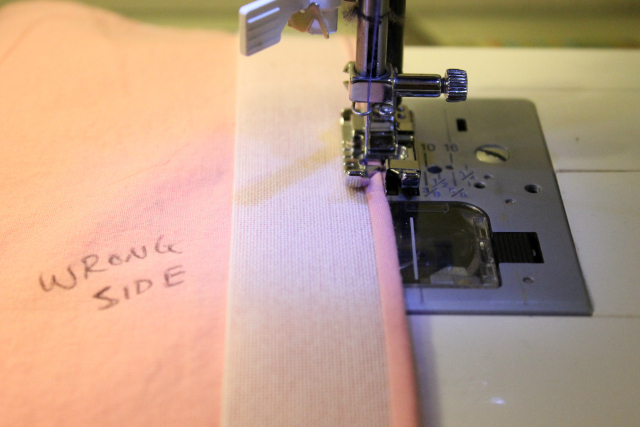 Pin if you want, but I've found that the ban-rol doesn't really shift as long as you align it correctly as you sew. 4. 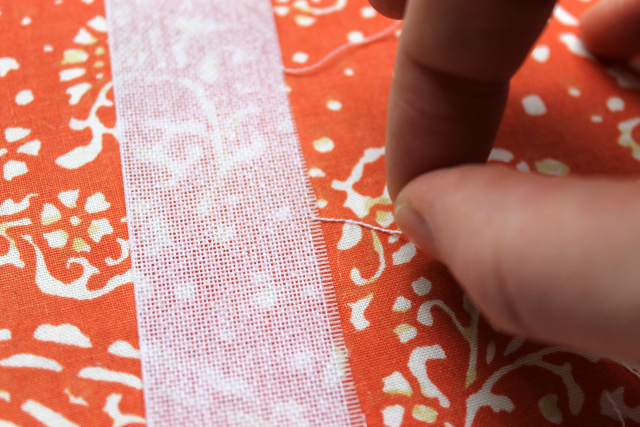 For fraying fabrics, trim the stray threads off now so they don't poke out of your hem later. Now gently flip the ban-rol all the way over to the wrong side of the fabric. 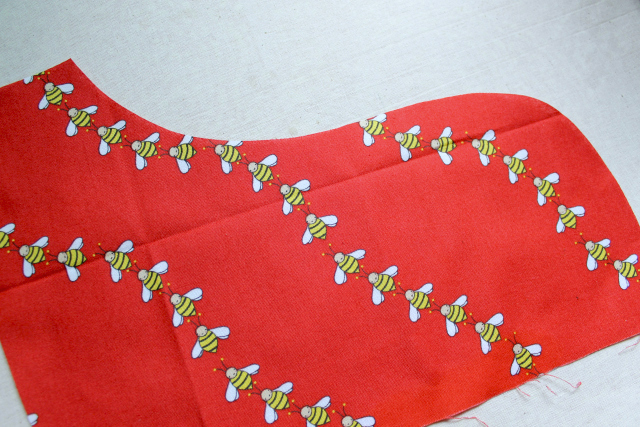 This rolls the tiny hem for you without you having to measure all the way around or burn your fingers with the iron. 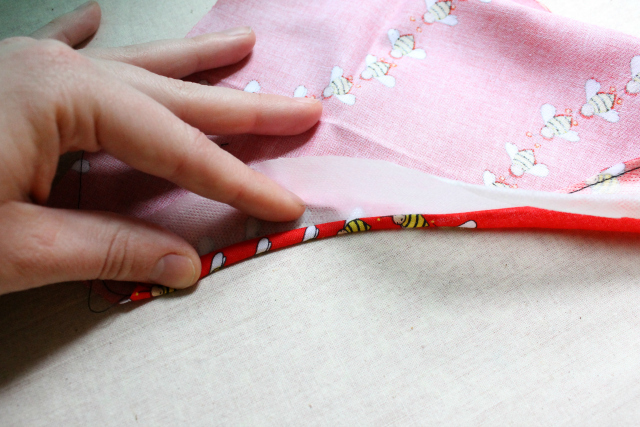 For complete accuracy, you may want to press this part down so the hem is flattened first. 5. Stitch along the edge next to the ban-rol to secure the hem. 6. Now gently pull the ban-rol comb out of the stitches. Note that you can use ban-rol when hemming in the round. Just overlap it where the circular hem meets. The comb will pull out as usual. I agree; those bees are CUTE AS HELL. 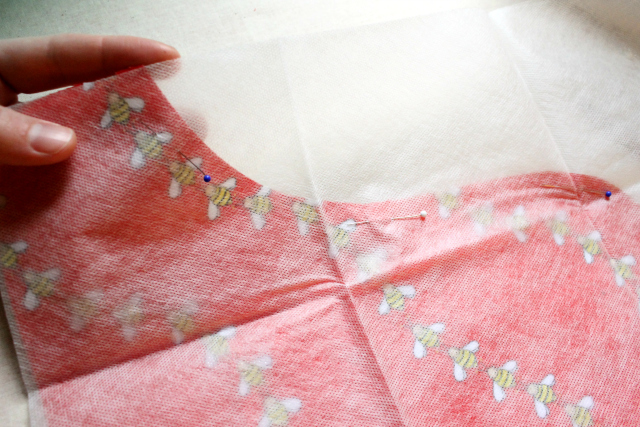 This method is similar in theory to the ban-rol method, in that you're sewing something to the right side of the garment and then flipping it over to help turn the hem. EXCEPT you're using something that is wide enough so you can trim it to match the curves exactly. And you can't make a comb out of it to remove later. It's essentially like sewing a facing on a garment edge, but you want the seam to roll farther back toward the wrong side of the garment, and you want the facing to disappear somehow. So, you have some options: you can use tracing paper, which you can then tear off the hem, but you'll leave paper in your hem. You can use tear-away stabilizer, which also leaves stabilizer in your hem. 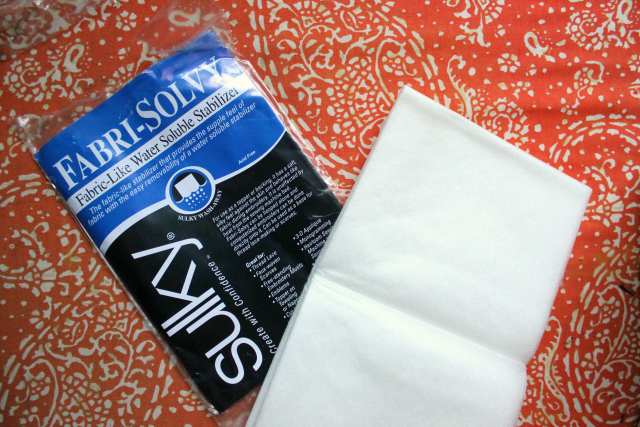 Or you can use wash-away stabilizer, which will disappear after the garment's first washing. None of these are ideal, so it just depends on what type of fabric you're working with and what you have on hand. I decided to try this sew-and-turn method with Fabri-Solvy, which is a fabric-like wash-away stabilizer normally used for appliqués and such. It comes in a range of widths and lengths, so I thought that getting a sheet that's 20-inches wide and 1-yard long would enable me to customize my own strips to match the curves of a small hem. 4. 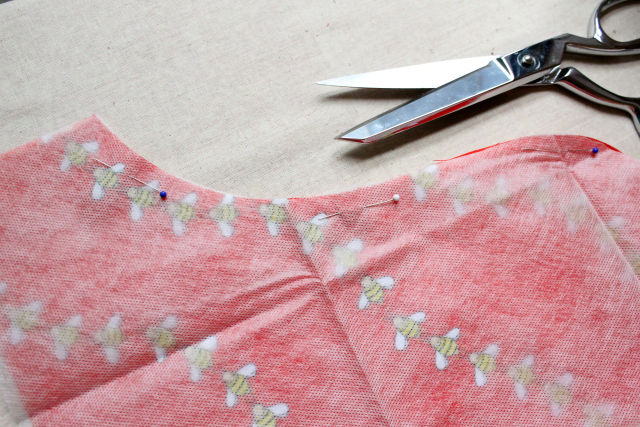 Now flip the stabilizer to the wrong side of the garment. 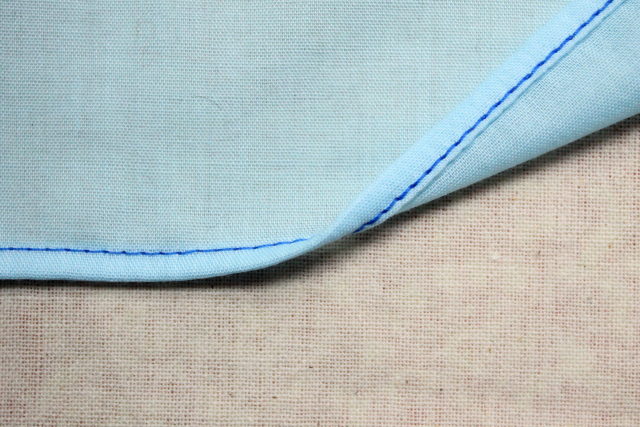 This gets a little fiddly because the stabilizer is soft, but you want to make sure the raw edge of your fabric and the stabilizer are butted up against the fold of your hem so it's an even width around. Use your fingers to maneuver the curves into place. You can use the very tip of your iron to help crease the hem, but try not to let the iron touch the exposed stabilizer because it may shrivel and/or start to melt. 5. Sew the hem in place. 6. Trim away the excess stabilizer. You can leave it as is until its first full washing, or you can saturate the hem in water for a few minutes to dissolve the stabilizer still inside the hem, then let dry. 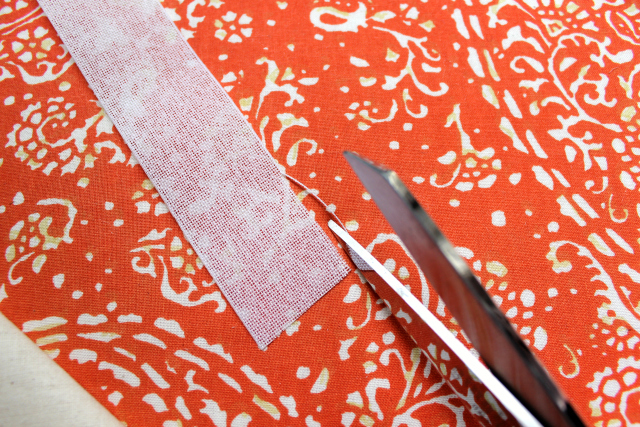 This method is pretty effective, but it can't really be used on fabrics that shouldn't be washed. 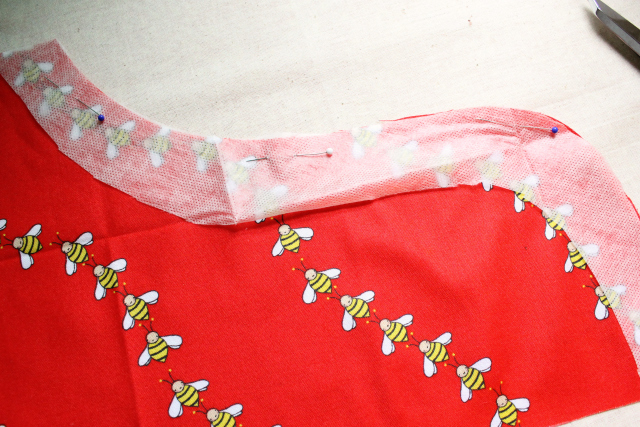 I also felt like I was using my scissors a lot, which would be annoying on a longer hem. It uses more resources in general since the stabilizer is not reusable,and I would have to buy longer sheets for bigger garments. Still a good trick to know, yes? 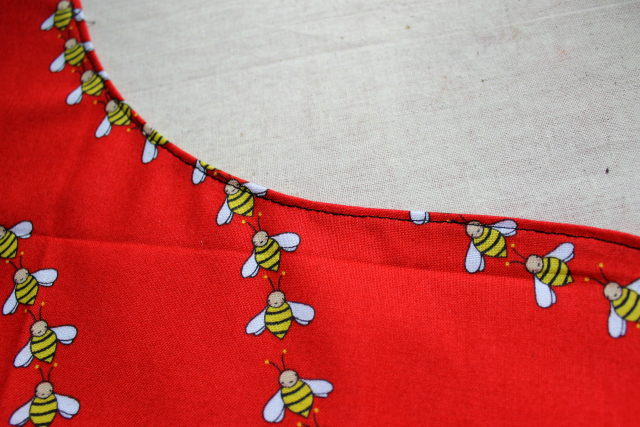 I hope this post introduced you to some new ways to achieve a nice narrow hem. Do you have any other tricks or tips to add? Are there other kinds of materials that could be used instead of ban-rol or stabilizer to help roll hems? Let me know your favorite methods!